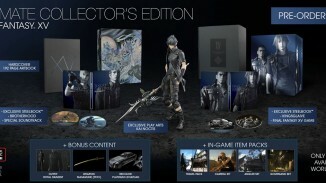 After the announcement only a few hours ago, the Final Fantasy XV Ultimate Collectors Edition is already sold out on Square Enix’s official store which is the only store which will sell the limited to 30,000 copies edition. 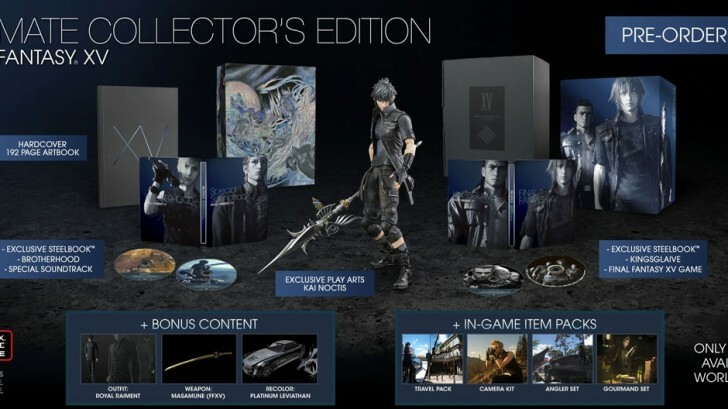 This very exclusive version of Final Fantasy XV is priced at $269.99, and was said to have sold it in no more than 30 minutes after pre-orders had opened. If you go to the store now, you will be offered a waiting list spot which means they may have not put all allocated stock on the site just yet so there is hope still, but for now they are not selling anymore copies. Let us know in the comments section if you managed to buy a copy. I was also able to nab a copy just before they were supposed to go on sale. dont worry only half of them went to scalper and are now on ebay for only the low low price of $650. Funny thing about selling on eBay this far out, it’s against their listing policies. A buyer must have the presale item within 30 days of purchasing it on eBay. Here a blurb so this is cemented into internet History. The PS4 edition went live 3 minutes before Midnight EST, X-box One followed shortly after. Site an hour before hand when the announcement went live was getting hammered by logins attempts and was buckling under pressure. Around 30 minutes before the go-live time the site stabilized. I was able to order right before the Midnight without any issues. Around 10 Minutes after midnight (EST), the PS4 edition was pulled from the listing on Square Enix website. So you could no longer get to it via search or even google. The XBoxOne was still listed at that time. Users who had the URL saved or caught the direct link to the Square Store, could still go on the site and PRE-ORDER briefly. Its likely Square staff de-listed as soon as they found out the amount of pre-orders were intense… Sometime according to the various news sites both Ultimate Editions were sold out roughly 30 minutes after being listed. Yeah, let’s hope they see that and start getting ready to make even more UCEs. I know I would if I were in their place. hey guys ,lets make a group on facebook or twitter , and complain to square enix and make the relist more ultimate edition in the store ,.. what do you say guys ? ?